Email me anytime with regard to website development or business profile inquiries or updates. LiveCommunities - Business Directory - Helping you find the business you need that you didn't even know about. 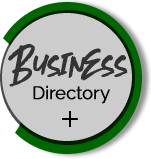 A directory listing is FREE. Have your business listed in our community. Just fill out our online form. If you repeatedly end up saying in retrospect and with regret, “I knew that was a bad idea.” You are not trusting your gut. When in doubt listen to yourself. Most images on this site are clickable and will link you to more information about a business or event. The cost of losing a star employee is enormous, take the time to ensure your top performers are properly motivated, challenged, and compensated.